Susannah has had huge success teaching the British Wheel of Yoga Foundation Courses for over 17yrs and absolutely loves teaching it. 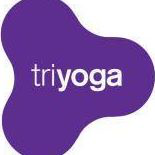 The Course is now condensed into 3 weekends and held exclusively at triyoga, as BWY requirements stipulate it must span over 6 months this course is no longer a BWY course, although the content and of course the teacher are the same. Designed for both those wanting to begin their journey to becoming a teacher, as well as those who simply wish to deepen their own practice and knowledge of Yoga. These extremely popular courses offer a great introduction to the philosophy, history, styles and paths of Yoga, as well as looking at each posture individually and learning about adjusting modifications to suit every individual. Subjects such as Chanting, Mantra, Mudras and Pranayama are also covered. To obtain further details about enrollment please contact: flavia@triyoga.co.uk. Susannah is part of the triyoga Teacher Training Team. Triyoga education has evolved over six years to offer one of the most comprehensive, first rate portfolios of teacher training courses available. triyoga’s level 1 yoga teacher training diploma, which is fully recognised and accredited by the British Wheel of Yoga and the Yoga Alliance USA, is established as one of the leading trainings in the UK. These teacher training programmes will provide you with the tools to enrich your practice and teach authentically, grounded both in self-awareness and experiential knowledge.